Knights Win & 5K in Memory of My Dad! I’m relieved to say that the Steele Knights beat the Smithson Valley Rangers last night on Ranger turf, 31-20. 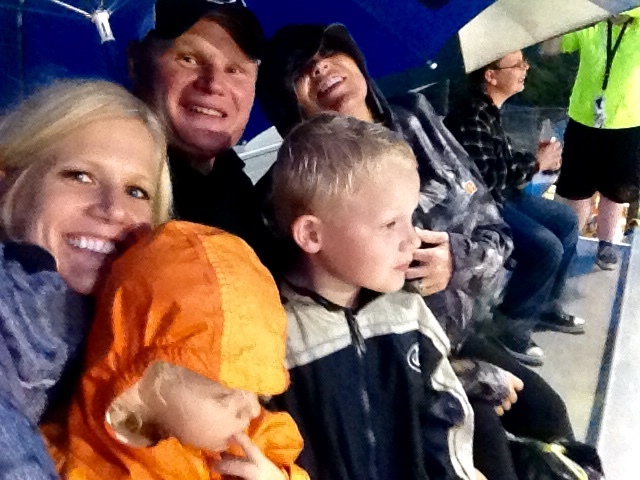 While I am super proud of the players and coaches for coming back from a 20 point deficit in the first quarter, I am also proud that *I* survived the game, not only myself, but also Landri (age 2) and Rex (age 6 months) as it RAINED the ENTIRE game. Not a drizzle. A good, hard, actual rain. It’s really tough to complain about rain around here though as we’ve more or less been in a drought for years, but this was the third rain game in a row, and by far the worst!!! I’m glad we stuck it out though, and were able to watch the Knights take their first district game! I didn’t bring my big camera because of the rain and only have two pics (on right). 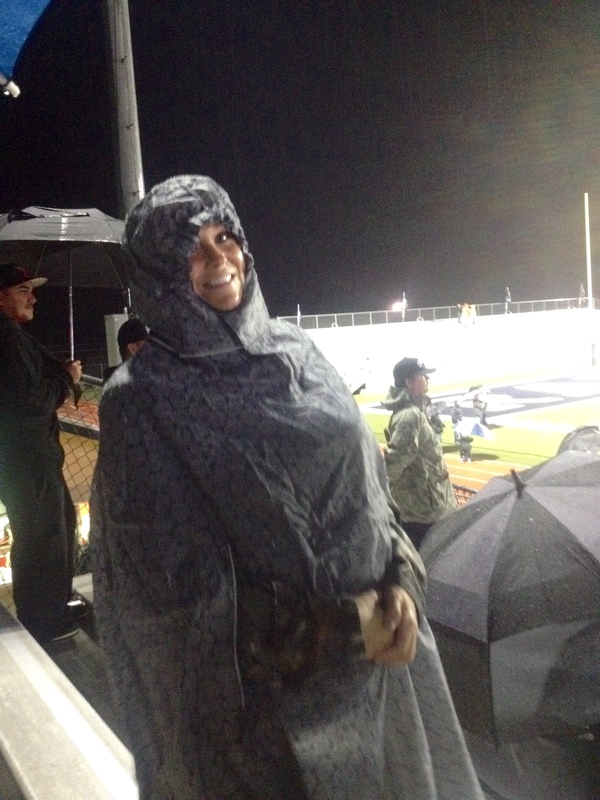 And no, I don’t have a huge tumor, but rather a large baby strapped to my chest under my rain poncho, LOL! Then, after only a few short hours of sleep, this morning my friend Chrissy and I ran a 5k in downtown San Antonio. It was Head For The Cure, supporting brain cancer research, and we ran it in memory of my dad who passed away four years ago after a tough battle with brain cancer. The timing was pretty neat too since next week is the anniversary of his passing. We took Landri and Rex with us and they were both on their best behavior which was awesome! And you can see us on the news video (from the helicopter) here! We are the first giant stroller out the gate at the front of the start! It was a super fun time and hopefully will become an annual event for us! Previous Post The New York Times: Front Page News!